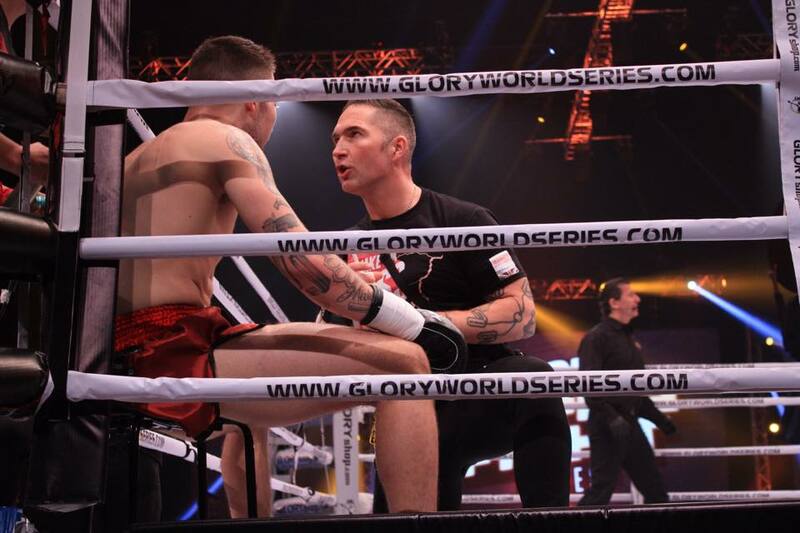 Chad ‘2 Slick’ Sugden made a triumphant return to the global stage on Friday 3 April, defeating Turkey’s Atakan Arslan in Dubai on the world’s biggest kickboxing promotion, where the best of the best from all combat sports compete. The 20 year-old from Suggy’s Gym dominated his strong and highly rated opponent to take a unanimous victory in the three round contest on the card of the GLORY Superfight Series 20. Arriving in Dubai three days ahead of the event, it was obvious to the Sugden camp that all the top fighters had been watching Chad’s career with real interest. The big question in everyone’s mind was whether the Suggy’s Gym fighter would be at his best after 10 months of inactivity. Pushing forward constantly, Chad dominated the match up with fast strong punches while mixing it up with the correct balance of kicks and punches which floored his opponent several times. Living up to his fighting style, he made Atakan miss and made him pay, emerging the unanimous winner at the end of the three rounds. The winner of Friday’s match up was being offered the chance to appear on GLORY 21 in San Diego on Friday 8 May against GLORY ranked Number 6 fighter Raymond Daniels. “Although it’s an exciting and lucrative opportunity, Chad already has a commitment to face Michael Wakeling on The Main Event in Birmingham on Saturday 23 May,” said Dean. “Ranked Number 1 at 75kg, Michael has lost only once in 29 pro fights and he’s in his prime. Although we love Michael’s aggressive fighting style, I believe Chad can beat anyone and next month in Birmingham he will prove that he is the King of The Ring. Tickets for The Main Event at The Barclaycard Arena, priced £35 for seating and £75 for the front two rows Gold Ringside, are on sale now with transport for local fans available on request. For details and bookings, visit Suggy’s Gym or call 01636 605708.